This is where I am – the D/(BCAB) double stop in the Sarabande from Suite I. I’m trying to figure out why I cannot play this smoothly. 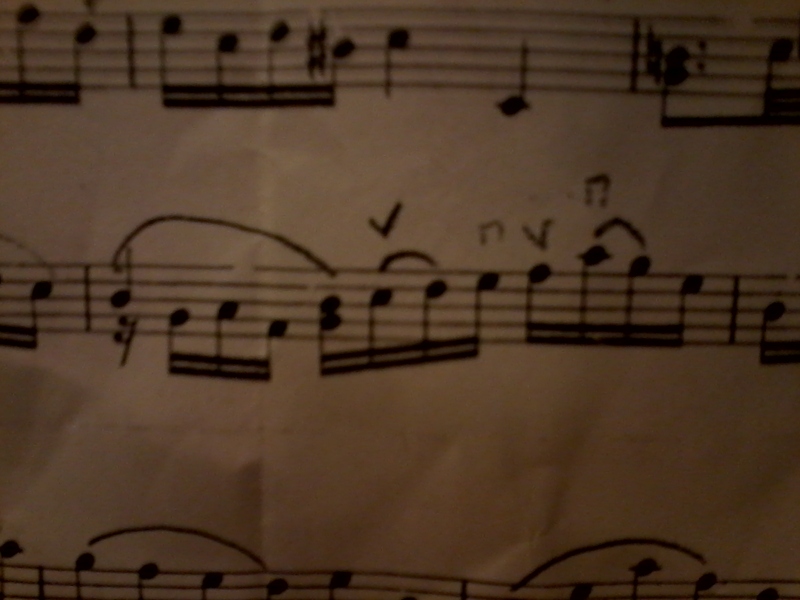 I can play it in isolation, but when I get there, my fingers lock up. It also sounds way heavier than I’d like it to. So, today I’m going to try to isolate what some of the problems are. I’ve tried many of the tricks, like ignoring the open D at first when I practice. Therefore, I need to see how I can add it back in and where the tension is coming from. If you have any thoughts about your own experience learning these passages, I’ll eagerly read them in the comments. Have you tried playing ONE note before the D? If you can do that successfully, try the 2 notes before the D. Just an idea. Maybe take a physical breath before playing the D. You’re allowed an extra second. You are in charge! I’m working on this one to play at a gig.